Home is the most important place in the world. It is where we make memories and build our lives. 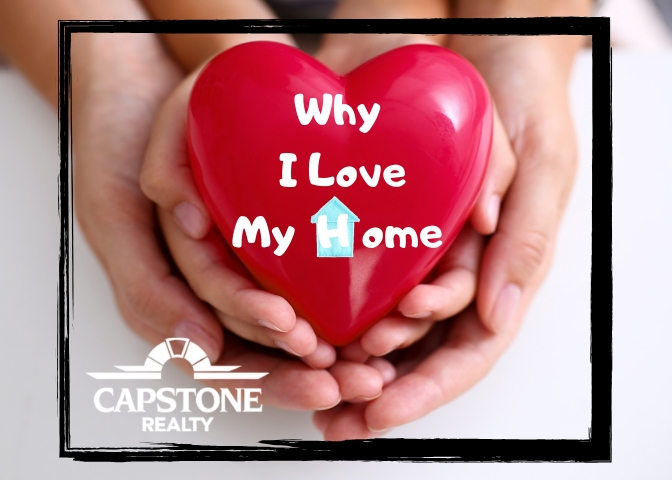 Capstone Realty wants to hear what you love most about your home! Enter our contest below and you could win $250! See more details in the 2 page entry form below. Download the entry form below and draw or take a picture of your home or favorite space in your home. Then tell us in 100 words or less what you love about your home. Deadline to enter: Entry must be received at Capstone Realty no later than Thursday, February 28th @ 5 pm. Entries will be judged (with no names) by our Capstone agents at our Team Meeting on March 6th. There will be 2 winners announced at the meeting, on our Capstone Fan Page on FB and Instagram page. The winners will also receive a phone call from Capstone! There are 2 age categories as detailed on the entry phone. Click on the image of the entry form below and then download and print both pages.